Americans will spend a pretty penny to say, "I do." According to a 2017 survey by TheKnot, the average cost of a wedding is over $33,000, which includes the engagement ring, but not the honeymoon. Wedding trends are shifting to unique venues, and fewer guests, but the price per person is actually at an all-time high at $268. Couples today are working hard to produce affairs with a highly personalized experience that play well on social media. And though the bride and groom are spending more of their own money to pay for their nuptials, the bride's parents are currently footing close to 45 percent of the overall cost. Heads up, parents. That tradition is holding steady. I was married in a castle in Indiana 16 years ago with a budget of $13,000. Looking back, I don't regret one penny spent to host my friends and family on such a special day. When I think about my wedding, I'm thankful that we paid cash for all the expenses and worked within our budget. My wedding memories were never marred by years of credit card bills and interest fees. You can have your dream wedding without burdening a brand-new relationship with crushing debt. Here are a few sensible ideas to raise the cash to fund your dream wedding. Accepting cash in lieu of gifts is nothing new. Wishing wells have been a wedding tradition for decades. We even paid for our honeymoon with cash contributions from our generous wedding guests. Saya Hillman is a beloved connector of people and founder of Mac and Cheese Productions, a lifestyle business "that provides creative solutions to common problems." She turned her skill of connecting groups into an almost 100% bartered wedding. By her estimates, a $24,000 wedding in Chicago cost them a mere $205 out of pocket. Hillman's hair and makeup were offered free of charge in exchange for hosting a fundraiser to help a local nonprofit. Their invitations were bartered. The flowers were gifted. Hillman explained that she and her husband "got an "us" wedding. Organized and thought-out, yet low-key and comfortable." In another example of savvy bartering, Michelle Schroeder-Gardner, online entrepreneur and founder of Making Sense of Cents, received $7,000 in bartered products and services from St. Louis area businesses for her 2014 wedding. She simply sent emails and offered help with social media marketing, website development, or blogging consultations in exchange for wedding-related items. This helped keep her wedding costs well below the average at $22,000. Don't be afraid to ask about bartering opportunities with every one of your vendors. You never know who will say yes and save you big bucks. Along with everything else, there's nothing like an extra income stream to pay for the things you want. Use a side hustle help cover the costs of a your wedding without drowning in debt once the festivities are over. Every little bit helps. You could drive for Lyft or Uber on the weekends, use your social media expertise to help a brand gain a following, become an online tutor, or something entirely different! The options are practically endless in the gig economy. Be creative and put your skills and talents to work. I'm going to forward this off to my brother and his fiance. They need to start saving for their wedding and both insist on a traditional ceremony. Her parents are in no position to take care of that bill. Can they manage to discuss difficult topics, compromise, and stick to a budget? Can they navigate the murky waters of well-meaning but interfering relatives? Can they prioritize based on what's important to them? Can they manage to not get swept away by a ridiculous and impossible desire for a "perfect day"? Can they differentiate between fantasy and reality? Personally, most wedding expenses strike me as ridiculous and egregious. Once the word "wedding" is tacked onto something, its price catapults into the stratosphere. It's a sad fact that these days, many marriages end before the wedding is even paid off. I wonder how much the ongoing financial stress of paying for the darned thing plays into that? These are excellent ideas to help fund your wedding and totally agree that all the planning and hard decisions to make will help prepare the couple for married life. There are also many areas where couples can make big savings by breaking some conventions. For example wedding cakes are horrendously expensive and huge savings can be made my having a less fancy cake or not made commercially. I've even heard of a company that hires big fancy cakes so a cheap supermarket or home made cake can be given to the guests. Another great way to make big savings is to only have family and bridal party for the meal, only inviting wider friends in the evening. My wedding cost approximately $800. My mom says it was one of the nicest weddings she's ever gone to. It was fun, funny (we had a madrigal group singing bawdy Italian songs) and meaningful. We included family and friends and had a great time. When renting chairs, tables, linens, call the event a 'family reunion' and you will notice the 'wedding' effect (prices jacked up for a wedding) mentioned by a previous guest commenter will be avoided. We got married in New York City on Valentine's Day in City Hall. It was truly a quintessential New York experience. The line was huge, but what a mix of New Yorkers who were all jiving on the good vibes of the day. All that was missing was that I wasn't wearing a pink tuxedo with ruffles. I understand the importance of a couple's wedding day, what many consider to be the happiest day of their lives, but if it is in fact the happiest day, where does the marriage go from there? Just a side note, my cousin got married in the South of France and our kids were in the wedding. They saved up for two years to pay for it, renting the vineyard in Provence and even flying their parents over from LA. I was impressed to no end, and it was a beautiful wedding, mainly because our kids were in it. Or here's a tip. Just have a modest wedding. All this focus on the wedding makes people forget that the wedding is just the opening act - what matters is the marriage. My parents were married in my grandmother's living room, my in-laws in a tiny church with the reception held in the church's hall - they each had over 50 happy years together and ended their lives with considerable assets, because they didn't spend money they didn't have. Spend what you can afford. A big expensive wedding is NEVER necessary - if family members are pressuring you to put on a three ring circus, tell them to pay for it or just deal with the plans you're making. If they love you, they won't want you to go into debt or financial distress just to throw a party. And I don't know if it's generational or what, but I think cash gifts from any but immediate family are tacky. Even after 20 years, I remember who gave me certain items at my wedding and think of those people when I use those things. It's a connection to my friends and family that would evaporate if all I'd received was envelopes stuffed with money. Every wedding i've been to had cash gifts, but that's because they were all for Korean couples. My cousins had Western-style weddings, so they had wedding registries, but ALL korean guests brought money (and a few bought gifts as well), and even their American friends chose to give envelopes most of the time. We have a great place picked out and it is really reasonably priced. We booked it six months ago and have it almost all paid for and the rest is budgeted. Yesterday we called the tent company (which we have to have since it will be mostly outdoors) and found out the tent rental was going to be almost as much as the rental cost for the venue. Which was a shock to say the least but we are kind of trapped now - too late to switch without huge penalties for canceling. Just try to have a good padding of cash reserves, since something is going to slip though the cracks. Consider asking for cash gifts? Yikes! In American culture, making any mention of the registry or gift preference with the invitation is considered tacky and poor etiquette. It sends the message that the day is about receiving gifts rather than celebrating the marriage of the couple. Allison, how do you inform your guests of your gift preferences then? I think making gift preferences just prevents waste and makes things easier for the guests. I have gone to many American weddings now and not one invitation came without a registry location. These are couples of all ethnicities so actually I have never heard of including gift preferences with an invitation as tacky. I think a lot of couples are scared to talk about money and that leads to all sorts of problems (over-spending and stress.) My only request going in was to "not go into debt over the wedding" and we made sure that wish became real. The venue, photographer, and caterer are the big three when it comes to saving money. Take the time to shop around and you might be surprised how much you can save. I was reading your comments about trying to raise money for a wedding, especially in these tough economic times. One option you might want to consider is the cool “Cash Gift Service” offered on the gift registry site MyRegistry.com . Rather than sell out the ceremony to a sponsor (which just sounds tacky) you can discreetly suggest to guests that they opt for cash gifts instead of items. It really works, and can sure help when the wedding bills start rolling in. I thought I would also share an article I wrote on how to hire a wedding photographer. It helped us save a ton of money on one of the largest expenses. Thanks for sharing these ideas on raising cash for a wedding. My sister is about to wed and neither her nor her groom have much cash for a big wedding (though they have dreams of one!). Perhaps these ideas will get them a little closer to their goals. My wedding cost $25K and if I had to do it all over again, I would have eloped. In fact, I asked my father to cut a deal -- 10K cash, from which I would pay for a family-only wedding and use the rest for a down payment on a house -- and he declined. "Your mother," he said wisely, "would never forgive me." So I got a big Polish wedding with an even bigger reception. I've been married seven years and I still kick myself for letting it get so out of hand. I'm glad my mother could finally have the wedding of her dreams, but I've sworn not to do the same to my daughter when her time comes. If she wants to get married in a sundress on the beach, more power to her. Heck, if she wants to get married in blue jeans at the courthouse, I'll be there to sign as a witness and write a generous check to help her buy her first home. But I won't insist that she have a princess wedding just because it's "the thing to do." That said, if that's what she wants, I will certainly give her the big white dress and the $150/plate served reception meal. But I'm guessing that, since I'm the one who will be raising her, she'll have more sense than that. You sound exactly like my father except he refuses to fund my wedding he insist on me getting a house, if your wife got the wedding of her dreams so should your daughter. My wife and I spent $500 on our wedding. The best part? We had complete control. Please, please, please do not ask for money in lieu of gifts. And do not ask for gifts. And do not send a registry list with the invitations. This is considered extremely tacky. The wedding sometimes can be the best opportunity for discussing and handling large amounts of money. Remember that money issues can be one of the leading cause of arguments in a marriage. Why not take the time to talk and implement the ideas you both have over handling money with the wedding itself. As always, communication is the key. I am not sure if it is generational or regional culture that determines if you can list the registry in the invitation. I live in the south and most of my family is older, so between the two I have to work hard to hunt down a registry! "It's tacky" made sense back when weddings were family-only, and the few friends who attended knew you since kindergarten. Now, with so many of us going away to college, and inviting more friends than family, guests often don't know the parents or anyone to ask about a registry discreetly. Urban/suburban, young: Target is king. "Middle America" rural or Midwest: Hometown may not have a Target. Try Walmart, Dillard's, Kohl's. However (in American culture), it is ok to put registry cards in shower invitations. We sent out save the date cards with our wedding website listed on the card. Our wedding website listed all of the places that we registered, which was a perfect solution for us. Any non-web savvy people simply asked our parents where we were registered, and our parents filled them in. Of course, we preferred cash, but it is considered tacky to tell people that. Our wedding was paid for in full when we had our ceremony. We cut back on our own spending a LOT and put any extra money aside for the wedding. Our parents also contributed, which helped. But the MAJOR things that kept our wedding affordable was: none of our parents took control of our wedding and dictated what our wedding would be like and we didn't get a case of the "wedding crazies" and go completely overboard with spending. We wanted a big party, and that's exactly what we got. Everyone had a fabulous time and we could not have had a better day. gift? My brother is getting married. He owes me about $3500, which he has been paying down at about $100/month. I think I would love to have that much debt wiped out as a wedding gift, but I was wondering what other people thought. I think he and his fiance are very practical people and not too caught up in the wedding hype. Thanks. I have to agree with Allison's comment about requests for money being tacky. I was always taught (and I think any ettiquette expert would agree) that you do not mention gifts, registries, money or anything of the sort on invitations to the EVENT (wedding invitation, birth announcement, etc). The appropriate place for these types of mention are on (or included with) invitations to the SHOWER. Showers became traditional for the exclusive purpose of giving gifts to the new couple/baby, while the event itself is supposed to just be a happy event to be shared with family and friends. According to ettiquette, it is actually rude to take gifts to a wedding, although most people are not aware of it. The gifts should be given prior to or following the happy occasion. It is never appropriate to mention money directly in any kind of written form. 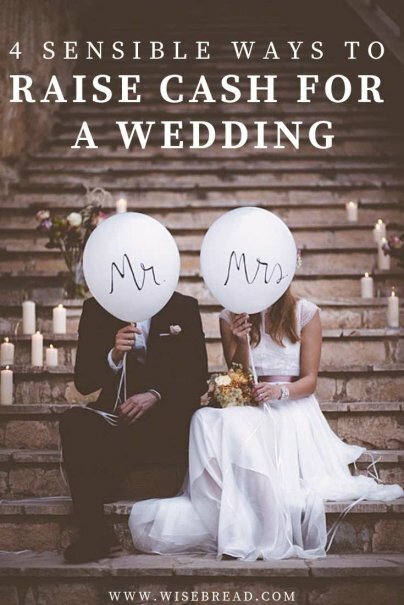 The right way to handle this to wait for people to ask what the bride and groom would most appreciate, then close family and bridesmaids/groomsmen can respond that the couple could probably use money for house, new furniture, honeymoon, etc. MTV documentary series "True Life" looking for young newlywed couples who are having trouble staying afloat in the current economic climate. Did you buy the home of your dreams, only to be facing foreclosure? Did you fall behind in rent and are getting evicted? Are financial woes forcing you to move back in with your parents or in-laws? Interested in sharing your story? But what if you have a plan.. or know what you want and just need to come up with about 3k to make it happen. we're already broke but this is our dream.. the resort we want to go to has the ceremony covered with a booking of a 4 night stay.. that's only $1500.00 but the other money covers the other expenses that the resort doesn't offer. plus it's out of our state so we have travel fees plus getting our families up there to be there with us.